Here, as everywhere, we have some very hungry kids. 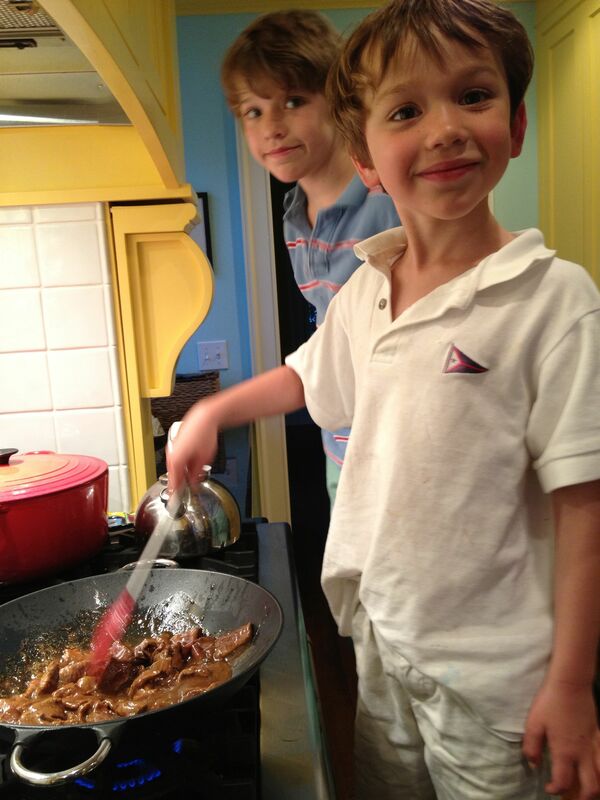 They are learning to cook and they love it. They love being able to choose the food, cook it themselves and then serve their “creation” to the family. 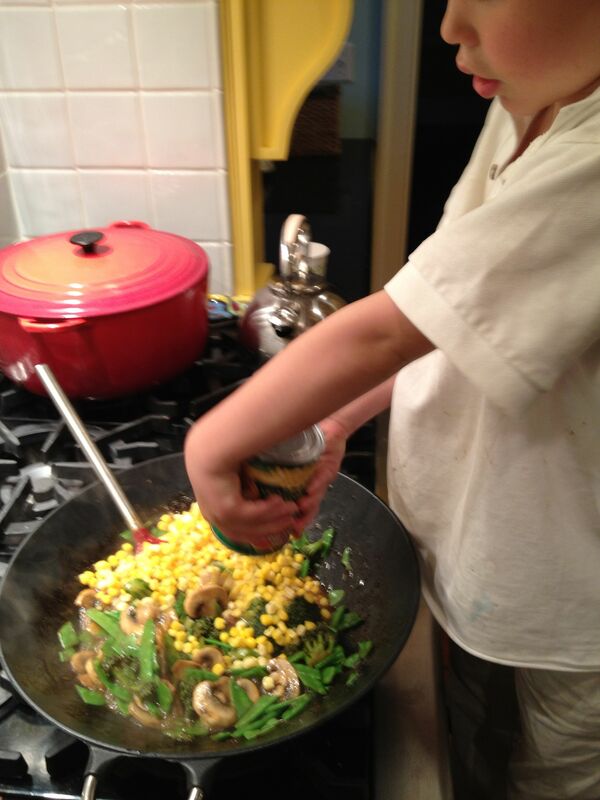 We find that when the kids choose the meal they are concerned about preparing something healthy and balanced. They take responsibility for choosing foods that are both delicious and healthy. Scooter is so excited today. He screamed, “It’s my cooking day and I am cooking Chinese!” He studied the Chinese New Year in nursery school, wore a dragon costume and practiced eating with chopsticks. Since then he wants every meal to be Chinese. 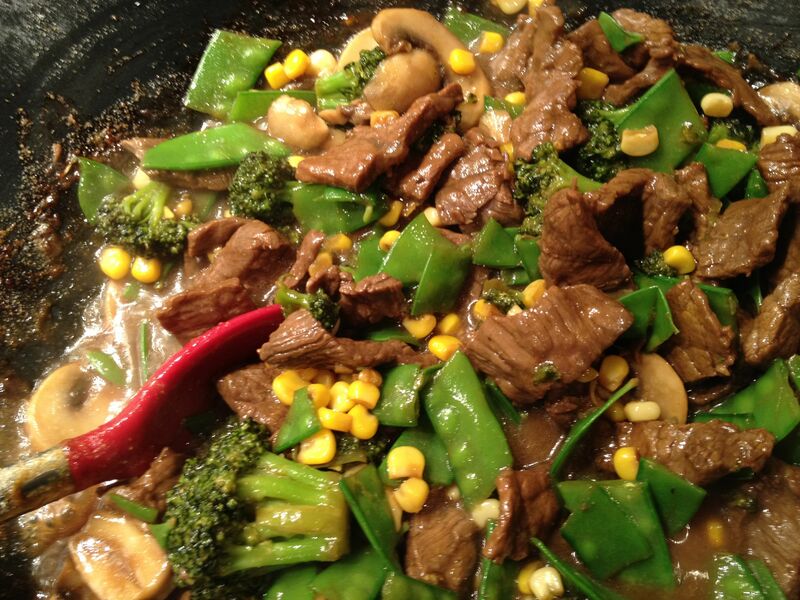 I sliced the beef but Scooter marinated the beef and is stir frying it himself in the wok. He also has rice boiling in a separate pot. 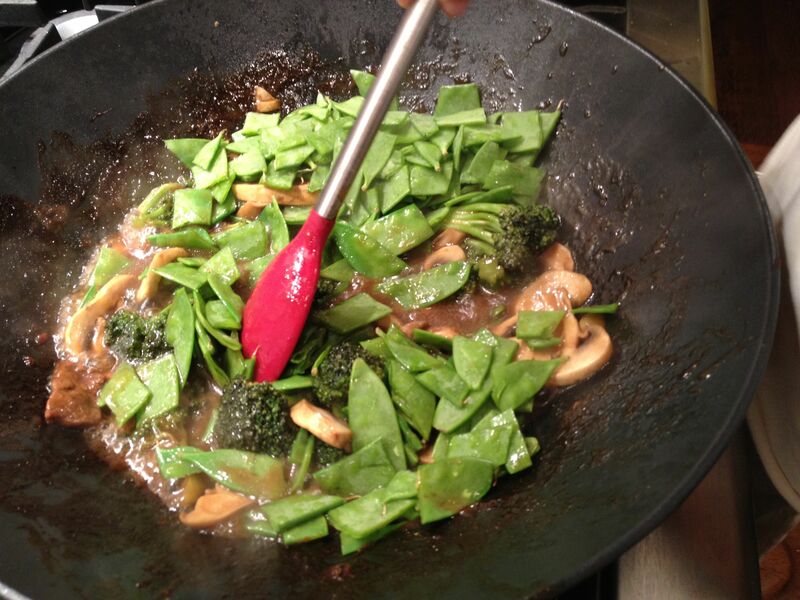 Cooking in a wok is the perfect choice for a young child. It is safe, easy and allows the child to create a sophisticated meal for the family. I bought the vegetables pre-sliced and chopped at the grocery store. These are a little more expensive but enable Scooter to do all the “cooking” himself. Scooter just needs to add the vegetables, one at a time, and stir. He feels like the worlds best chef. A beautiful family meal prepared by Scooter, age 5. 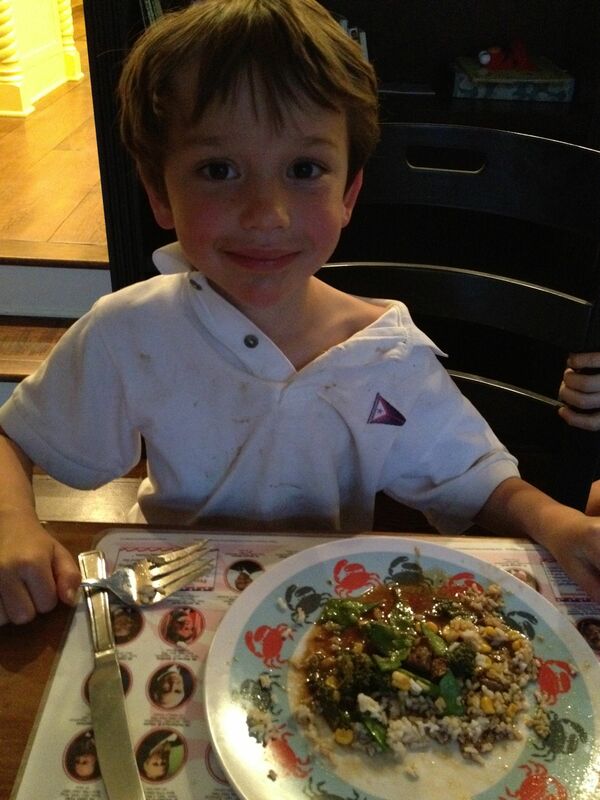 And yes, he loves his vegetables. The competition is fierce and Bounce is eager to have his turn. First words of the day, “It’s my cooking day today!” He is making another kid-easy meal. He is sautéing sliced chicken (pre-cut) in butter. He will add all his own spices. 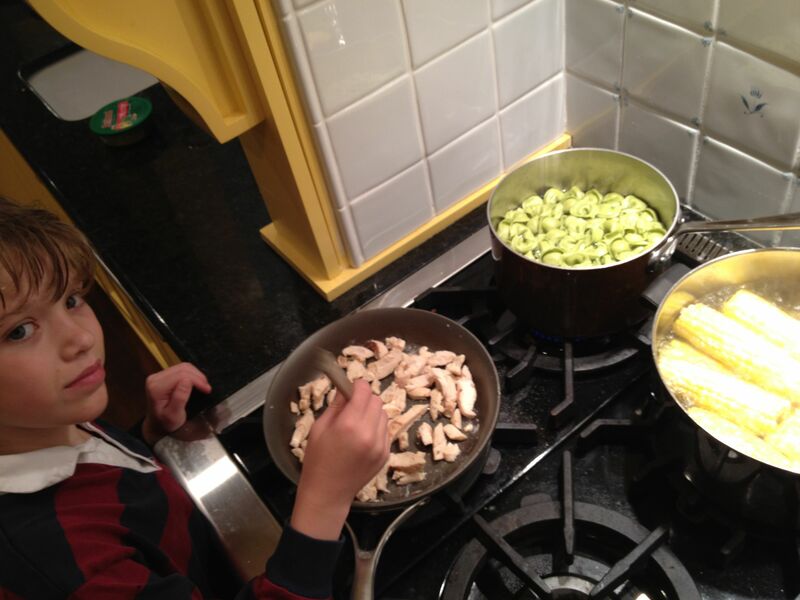 He is also cooking spinach cheese tortellini and corn-on-the-cob. These are easy as all you need to do is boil water. He will later add pesto sauce to the tortellini. Delicious. Bounce is particularly concerned about dessert. 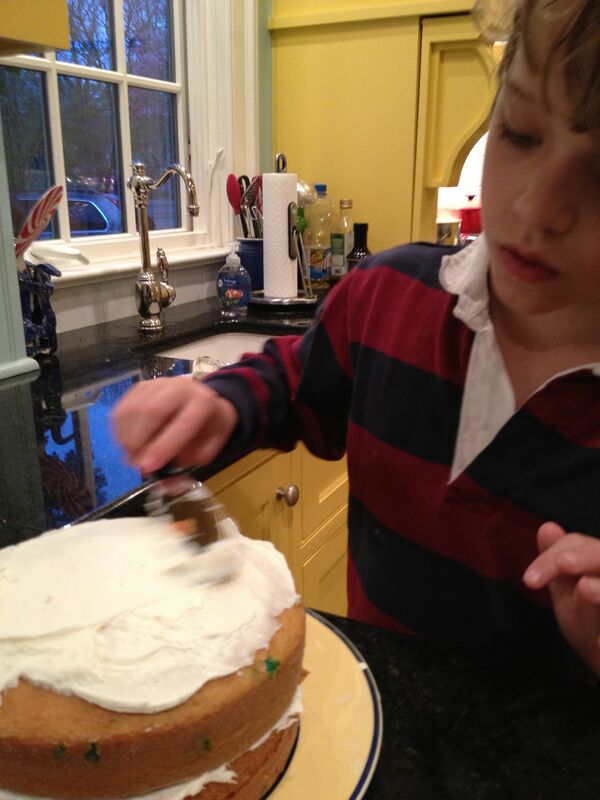 He knows that a good dinner should include a great dessert and he is determined to bake and decorate his own cake. He tries to keep it a surprise from his older brothers and sisters but they can smell the wonderful warm sugary smell of cake throughout the house. 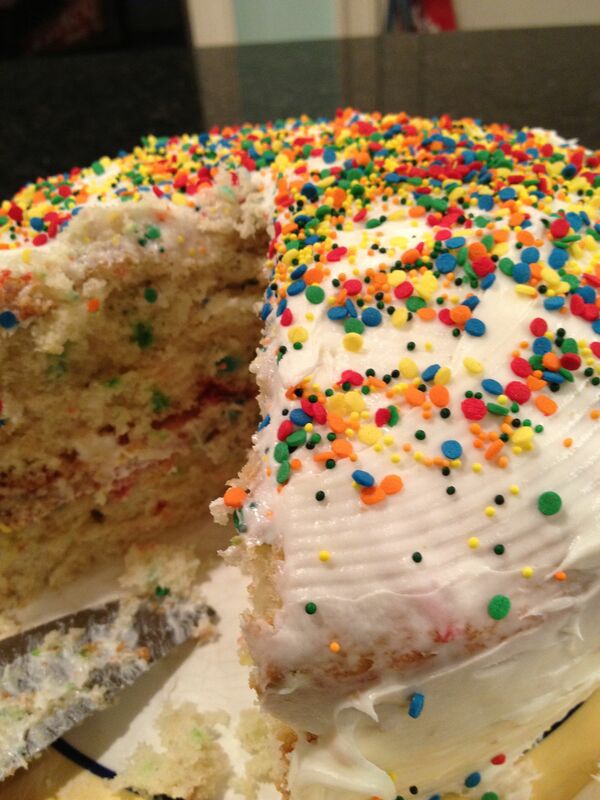 Bounce’s dinner is a great success, and so is his cake! Let Me Count the Days: Homeschooling is teaching all of life’s skills and teaching the joy of serving others.